What's this, their fourth regular season throwback? Just bring back block numbers (ala the Steel Curtain days) and be done with it already. No bumblebees? We're good then. Block numbers on the current uni, and you have a fantastic regular jersey. Give it time. Took the folks of Pittsburgh long enough to just fix the Penguins. Im betting on the batman here, putting block numbers would be just lazy. One subtle detail about the Batman Uni (God I love typing that) is that the numbers are not traditional full block. 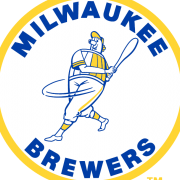 They have interior angles, more like standard MLB numerals and do not have the same hard angles as the Steel Curtain uniforms. This makes the much finer than what they would wear later. In a sense if you were looking for a happy medium between the current rounded numerals and the classic block, this would be it. Simple and bold, I think they're much better than the more-serifed standard block. Also sleeves. Bring us a modern sleeve! Yeah, well, I think that ship has sailed. 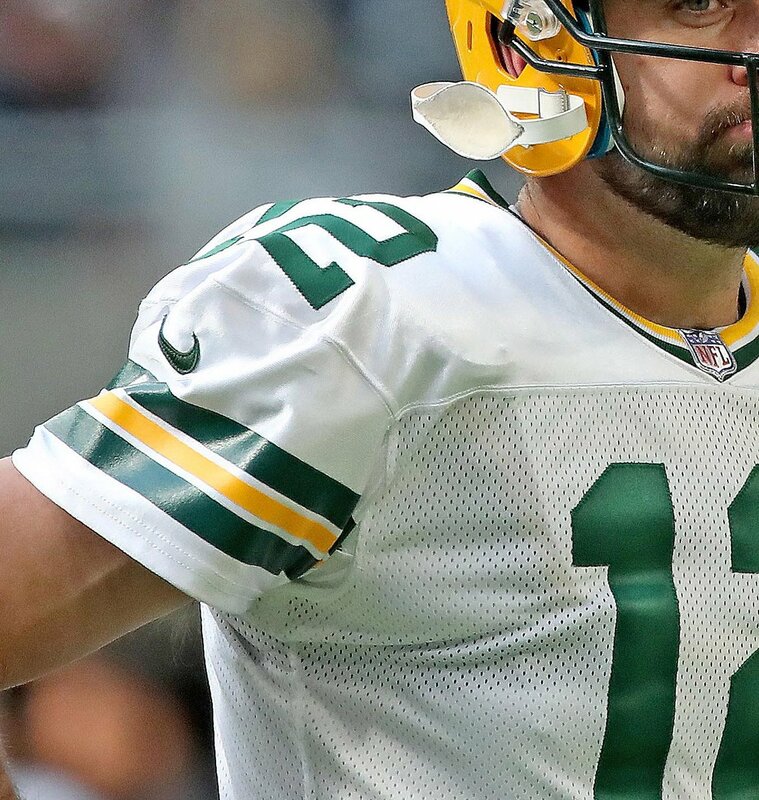 I've also long been advocating that the Packers move their sleeve stripes to undershirts, so we can have the full range back again, but that doesn't look likely either. 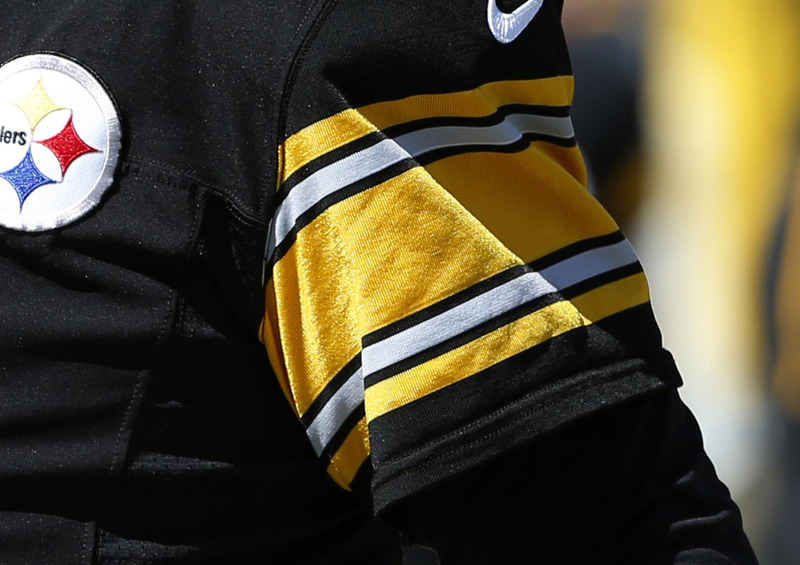 Frankly, I'm just jealous that the Steelers have actual sewn-in stripes, as opposed to the cheap-looking screenprint the Packers use. They look the same to me. The only differences I see are the Steelers stripes are not as glossy, and the jersey cuts are different. The reason that the Steelers' stripes are not glossy is that the pattern is woven into the material. The Packers' stripes are glossy because they're painted on the fabric. Truer colors, and seamlessly blends with the fabric around it. Looks so much better than silkscreen. 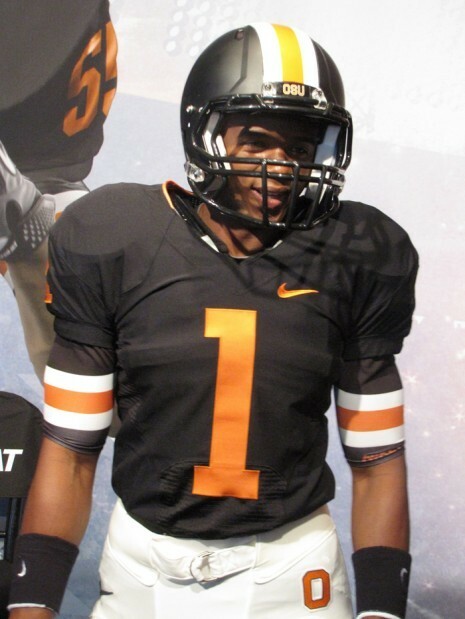 I hate those numbers on football uniforms. I hated it on the Champion jerseys, I hated it on the variation that the OG Jags had and the '96 49ers had, and I hate it on those older ones. It's just "soft", for lack of a better phrase. 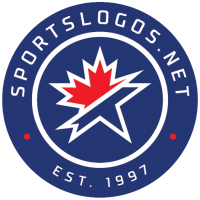 Standard hard-angled block is far superior on football uniforms. Perhaps it's because they're on an old Reebok template that someone like Powers is probably making for Nike for the Packers & Panthers. Dropping a serif from the bottom of a 1 makes the numbers “soft”? 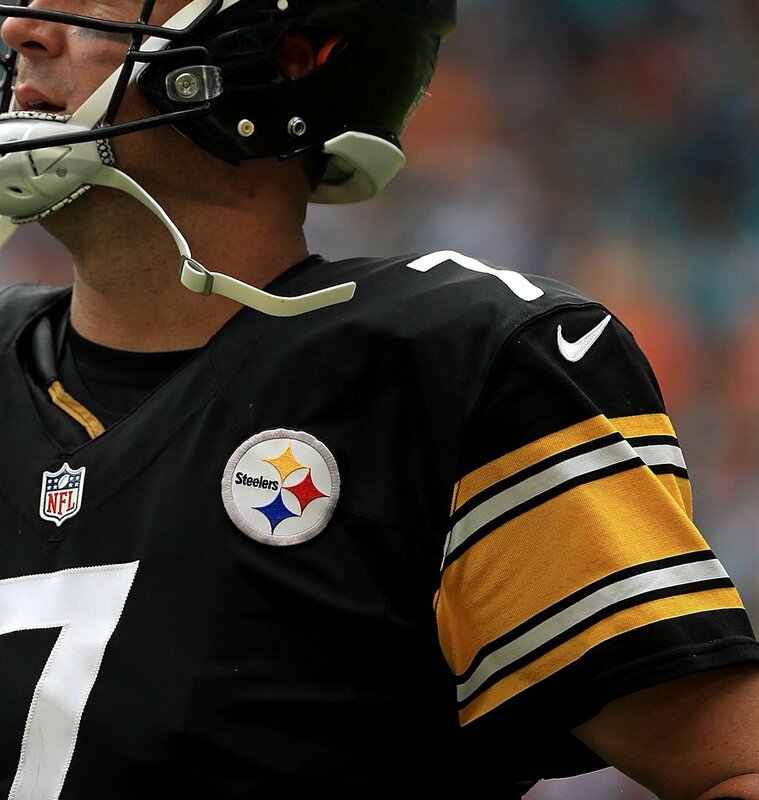 How do you feel about the Steelers’ current skinny-jeans italic numbers?